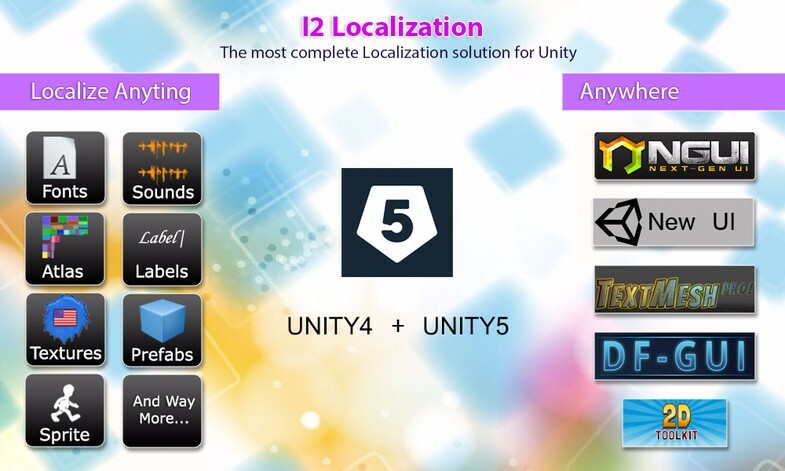 Image, Text, Sounds, Fonts, Sprites, Atlases, Prefabs, TextMeshes, Dropdowns and more. 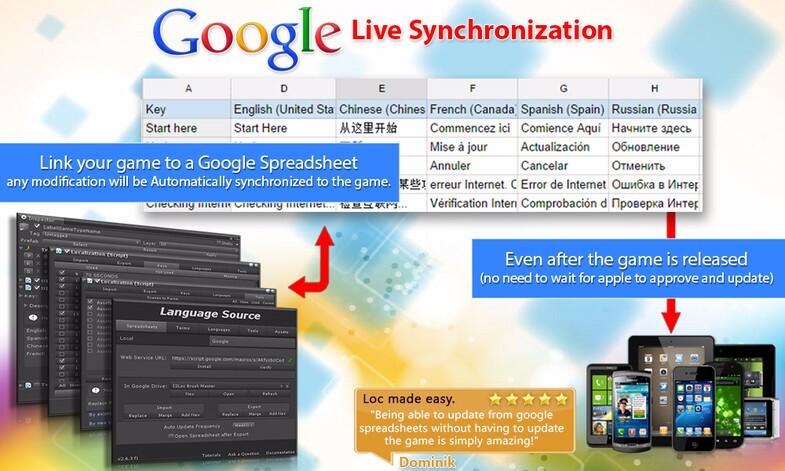 Built-in support for Google Translator to automatically localize all your labels into any language. Link external Spreadsheets and any change will be automatically downloaded, even after the game is released. 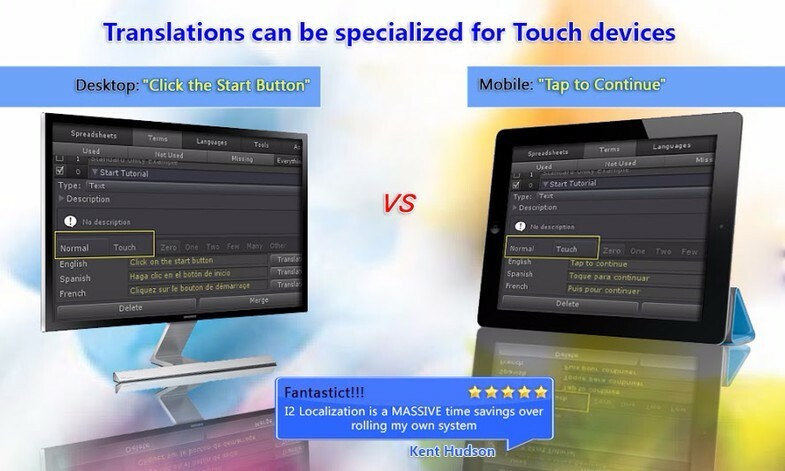 Parse scenes to find missing or unused translations as well as duplicated or similar terms. Set Secondary terms to change not just text and images, but also which Fonts and Atlases are used per language. 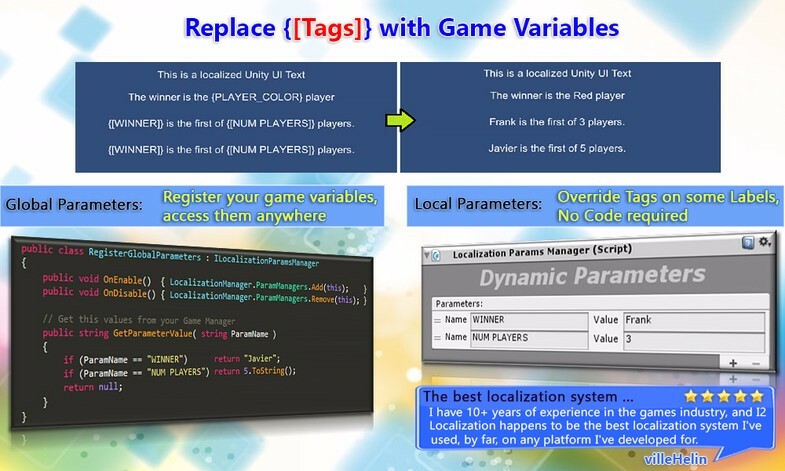 Translations can be modified to insert Scores, Names and Game Variables using the languages grammar. 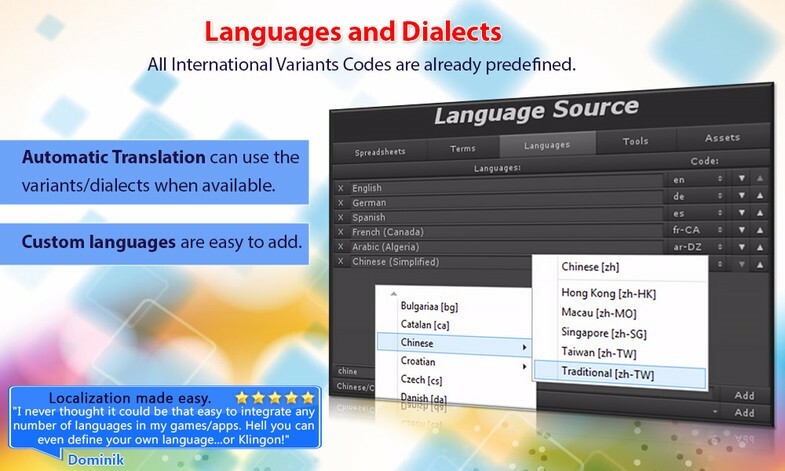 Built-in rules for each language covering those that just need singular/plural forms up to those that use 6 variants. Correct rendering of RTL languages with support for line wrapping and alignment. Create Fonts with only the characters you are using. Link your AssetBundles to add more localized content. 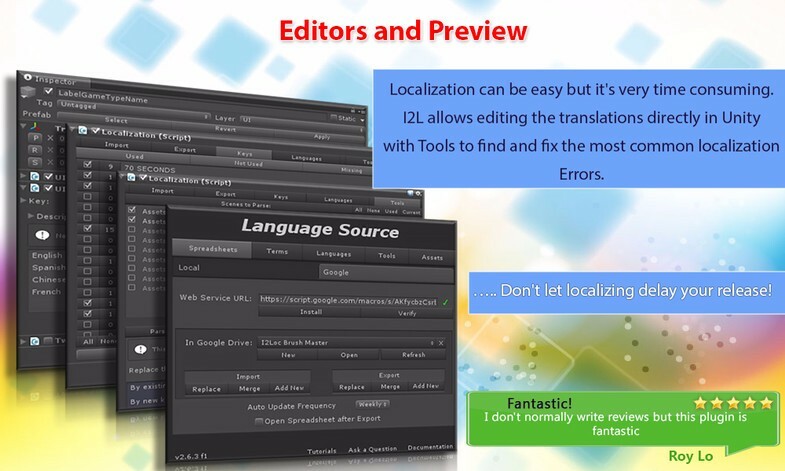 Edit and Preview all your translations in one location, then, at runtime only the current language is loaded. Using fast lookups to access it. Set texts to be automatically shown as UPPER CASE, lower case, Upper first, Title Case, etc. Intuitive inspectors allow you Preview, Edit, Categorize, Create, Parse and Filter even large sources. Bake translations into script constants to avoid Typos when accessing them on the code. Fast, Easy and Powerful? A no brainer!! 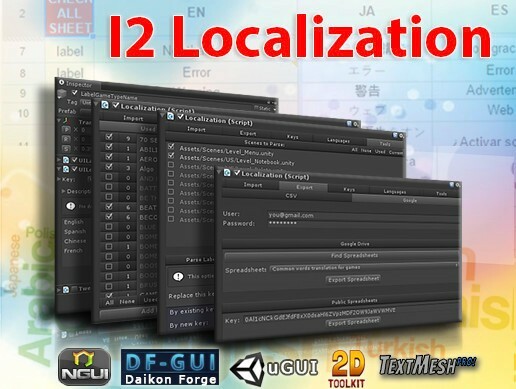 Get I2 Localization today and make your game ready for the World!